A new consciousness is emerging on planet earth. to the incredible truth of who and what we really are. the power of our SUPERSOUL. In the latter decades of the twentieth century a degree of spiritual consensus emerged. It centred around the idea that we all have a soul that survives our physical death; that lives many lives to gain a rich variety of experience; and that will at some point have overcome the multitude of challenges the human experience has to offer, and move on to grow in other ways in other realms. Some have taken a different tack and focussed on ideas of illusion and addiction, but arguably their influence has remained more on the fringe. This worldview has served us well as the tide of the new consciousness has gathered momentum. But what if it only scratches the surface of an underlying reality that is far more complex and intriguing? The clues have been available, scattered here and there, for decades. In Robert Monroe’s pioneering journeys out of his body, when he met with supreme intelligences that he eventually realized were only ‘other aspects of himself’. In Jane Roberts’ seminal Seth channelings, which revealed that he and she were part of the same ‘oversoul’. And in the widely channelled messages from the ‘group entity’ Michael, who describe ‘themselves’ as comprised of many individual ‘soul fragments’. All these sources remain hugely popular, yet the vital clues they left for us have remained somewhat overlooked. But now they can be pulled together into a worldview potentially enhanced by scientists who propose a fundamentally holographic and even digital reality. A radical worldview that opens up huge new possibilities for us all as we collectively pioneer the most exciting change in human consciousness ever witnessed on planet earth. 2 SOUL, SUPERSOUL, SOURCE: an omnipotent God; full personal responsibility; an all-pervasive Source; one yet many; the holographic soul; raindrop, stream, river, sea; angels, guides, higher self… or supersoul? 3 CHANNELLED CLUES: what supersoul is not; the reliability of channelled material; the Myers messages; Philip in the spheres; the Seth material; Gildas communicates; the Michael teachings; the Agapé school; conversations with God... or supersoul? 4 OUT-OF-BODY ENCOUNTERS: the nature of OOBEs; Leadbeater and Besant; Aurobindo; Yram and Larsen; Ophiel, Twitchell and Atteshlis; Monroe, INSPECs and EXCOMs; Vieira and Van Dam; McKnight, Moen and Buhlman; Bruce, Taylor and Phinn; Ziewe and Aardema. 5 TIME, DIGITAL REALITY AND PARALLEL WORLDS: the fluidity of space-time; time in the higher planes; vertical not horizontal time; Campbell’s Big T.O.E. ; probable selves and parallel worlds. 6 THE SUPERSOUL MATRIX: feedback within a life; a simultaneous-lives matrix model; does the personality survive? a single-life matrix model; support for the single-life model; Buddhism's 'missing link'? 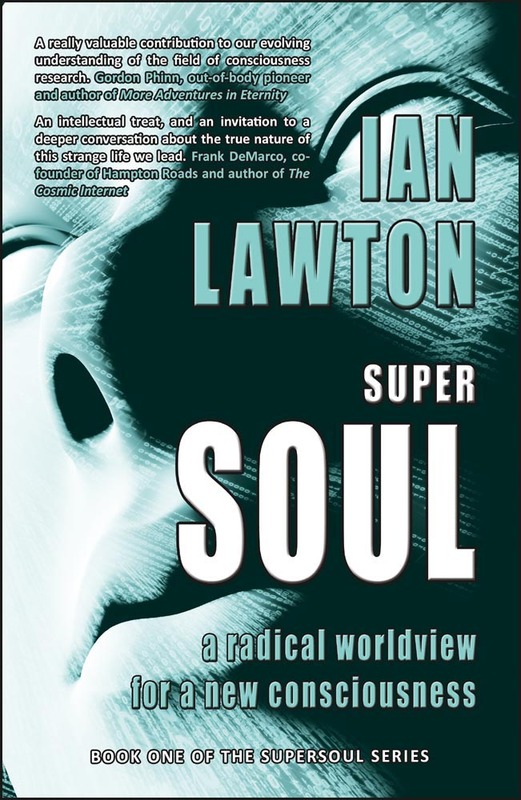 7 MODELS OF SUPERSOUL CONSCIOUSNESS: the successive-lives linear model; the simultaneous-lives matrix model; the single-life matrix model; reincarnation revisited; a synthesised matrix model; implications; a new set of principles. 8 WE ARE THE GODS! accessing supersoul while incarnate; equals not inferiors; merging with supersoul once discarnate; the holographic supersoul; a new era of superconsciousness? A supersoul is a grouping of hundreds, maybe thousands, of souls. Myriads of supersouls are projecting individual soul aspects of themselves into this and myriad other realities, meaning they are very far from the ultimate consciousness. Yet to be fully connected to your supersoul is to have boundless wisdom and creative power, and as a full holographic representation of it you're already more divine than you can hope to conceive – divine enough, even, to nullify further speculation about what lies beyond. Includes research by pioneers in the field of out-of-body exploration such as Charles Leadbeater, Annie Besant, Sri Aurobindo, Yram (aka Marcel Forhan), Caroline Larsen, Ophiel (aka Edward Peach), Paul Twitchell, Stylianos Atteshlis, Robert Monroe, Waldo Vieira, Vee Van Dam, Rosalind McKnight, Bruce Moen, William Buhlman, Robert Bruce, Albert Taylor, Gordon Phinn, Jurgen Ziewe, Frederick Aardema and Todd Acamesis. Also discussion of channelled material from Frederick Myers, Jane Roberts and Seth, Gildas, The Michael Teachings, Neale Donald Walsch's Conversations with God, and others.